You are in charge of a company that takes in millions of dollars and provides a service across a large area. You are in charge of dozens if not hundreds of employees many of which will dislike you not matter how good of a leader you are. You are also responsible for large budget and have to balance the amount of service you can provide with the amount of dollars you have. You will also answer to politicians many of them having no clue about what your service is but of course want to look good to the people that paid for their office and have to walk a fine line between keeping them happy and doing the right thing. Finally, you will have a vocal minority that will attack you no matter what you do because you are not providing them service to their front door, your budget doesn't have enough funds. They will hate you, post on blogs, blog on newspaper articles, and demonize you at every chance. Most people will probably already figure out that I am talking about the head of a transit agency. It really doesn't matter which transit agency because it is true for most of them. Some have a bigger problem in one area than the other but in general its a pretty thankless job. First of all, would you want this position and how much would be willing, or how little would you be willing to take in order to have the job? Now lets to a little more comparison. If this was private sector job how much will you be getting paid. Now everyone has heard about those overprice CEO's that are just raking in the money. However, most CEO's do are not the ones you hear about all the time. They run small to medium sized businesses that deal with the same number of employees and budget as the typical transit agency. Some of these CEO's are better than others. After all their humans and have their own sets of good points and bad points. However, for the most part if they get to this level they do it because of hard work and dedication. Yes some of them get there because of nepotism but they are the minority and usually have issues unless they too have worked up through the ranks. The problem is, for the position of head of a transit agency you want the best and the brightest. You need the person that cannot only handled the budget, surround themselves with people that can get things done, and deal with all the other distractions the CEO of a private company may not have to deal with. Why should someone take this position when they can go to the private sector, make more money and probably deal with less BS from the outside than running a transit agency. So how much should a transit agency head be paid? Understanding the different levels of transit service. Transit riders don't care how complicated it can be to provide transit service to them, they want transit service that will get them from point A to point B quickly, safely, and frequently. But its just not that simple. There is several levels of transit service and a transit agency has to balance providing the best service with the funds it has available. Then you add the political considerations, the calls for transit equality, and the own agendas of the people running the agency and you can see it can be very complicated to put it all together. Here is a very basic primer on the different types of transit services, who they serve and some examples of different agencies and how they handle the service. Community Services: This routes as they name implies provide service to the local community and are not designed to provide main line bus service. This type of service can take many forms but the problem with many community services is that they are usually more expensive, sometime much more expensive than other bus services. In Los Angeles, thanks to the tax initiatives in the area, almost every town in Los Angeles county has some type of community bus service. 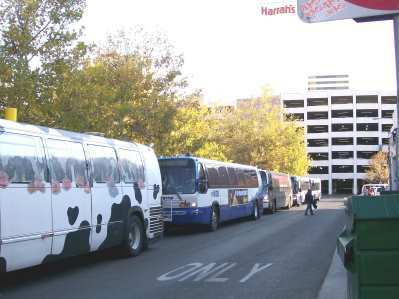 Some cities have extensive bus service such as Los Angeles itself with DASH, Glendale with its Bee Line, and Pasadena with ARTS. 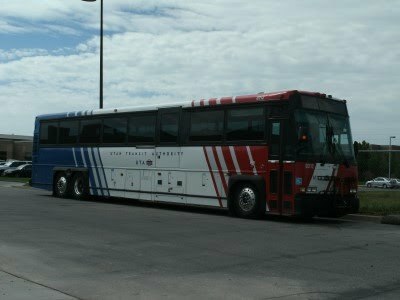 In Las Vegas, there is a local bus service that connects the downtown area with the major outlet center near the downtown area called Citiride (or at least it used to exist, haven't been to Vegas is 8 years). The former transit agency CAT used to provide what they called Silver Star service that would connect major senior citizen complexes with grocery and other retailers to make it easier for those who had trouble riding regular buses to access transit. Many cities have added circulators in downtown or major entertainment and shopping areas separate from the main transit agencies to provide service to areas they feel are not getting decent service from the main transit agencies such as Baltimore's new circulator system. Denver RTD has invented a new type of community feeder called Dial N Ride which provides demand response service close to major transit centers and light rail line stations. 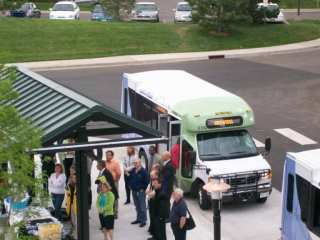 It is guaranteed that the shuttles with be at the transit station at certain times but rides can also be arranged. Most transit agencies provide community routes in one shape or another whether its TriMet on routes such as the 51, UTA with routes such as the 516, or METRO in Los Angles with a couple of hold over routes that haven't been either abandoned or turned into truckline routes. For the most part the major transit agencies to a very poor job of providing community transit routes and is why so many communities have taken upon themselves to provide. It is just too expensive for a trunkline transit agency to provide this kind of service. However, often times with communities start their own community transit service their routes will often rob riders of the trunkl ine routes making their performance go down and if they do charge fares, there is usually no transfers offered between the regular trunk line bus service and the community feeders making transit service more complicated not easier to use as should be the case. Trunk Line Service: Trunk line service is where most major transit agencies shine. This is service down major corridors that provide the bulk of transit service across the nation. If community service provides service general to one community (not necessarily talking about towns but sometimes just one community within a major city), then trunk line service obviously provides services to the entire community. Trunk line service provides the bulk of transit ridership around the country. If one transit agency can exemplify what trunk line service is it would be METRO in Los Angeles and its predecessor the RTD. When RTD gradually took over transit service in Los Angeles in the late 60's, it was a mishmash of routes from short community routes to major regional service and everything in between. Starting in 1976, RTD gradually eliminated most of the shorter community routes and combined them until all of them were long routes providing service to many areas of the county. Most of time it work but other times such as with the 176, it created routes that just do not fit into the trunk line network but are too long and provide to inconsistant service to be considered community service which is really needed along its route. The big advantage of trunk line service is that it is often the most economical service for a transit agencies to provide because they travel along major corridors and have the highest ridership per mile of any of the bus service with many getting off and on through out the route. The downside to trunk line services is that riders have to get to the service, it usually will not go into neighborhoods and often times cities and counties have made the environment of walking to transit very hostile to the pedestrian. On of the routes that UTA cut with the implementation of the two new TRAX lines was the 207. I used to ride this route when it was the 24 and for many riders along 700 east it was near impossible to get to the buses. There is a one mile stretch of the road that has no signals or cross walks and when you do get to the a light with a crosswalk it is often dangerous to cross the street because the speed limit is 40+ MPH and most drivers drive substantially faster than that. However, it should be pointed out that the transit agency usually has no control over this situation it is the cities and other agencies control the environment the transit rider has to endure to reach the bus. Regional Service: Regional service is the service that connects major regions of the community to the main community or from one major community to the next. Regional service often more expensive to provide than regular trunk line routes because it often runs along freeways, expressways, or major highways so it does not have advantage of being able to load and unload frequently line trunk line routes. In some areas transit agencies do a good job of providing regional service and it others the service is very poor. Los Angeles used to have an extensive network of regional routes but as the former RTD was broken up and other counties established their own transit agencies, the regional service slowly faded to the wayside. It should be pointed out that to extent regional service still exist via the El Monte and Harbor Freeway transitway's as they do connect major parts of the region, but do not provide service between the different counties. Foothill Transit does connect to Omnitrans in Mountclair and Metro provides service along route 460 from Los Angeles to Anaheim (and some tourist destination called Disneyland), but beyond that traveling from one county to the other is often difficult to impossible except along the Metrolink's major commuter train corridor with their other routes only providing sporadic service. Often times the regional service is provided by a different agency than the major trunk line service. This is true in such areas as Seattle, Chicago, New York, among others. Of course they same advantages of and disadvantages apply when transit riders are faced with dealing with more than one transit agency. There is other types of bus service beyond the big three although most of them are a subcatagory of the big three. 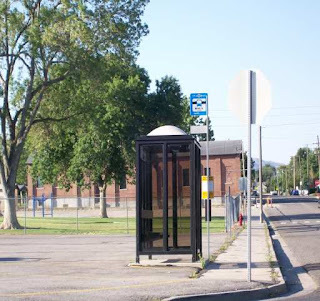 After experimenting with a couple of lines, the Utah Transit Authority with its latest bus changes have implemented several major Flex Routes. This are a cross between a regular trunk line route and the dial N Ride service that Denver's RTD provides. While service is provided along a major corridor, the route will also deviate up to a 3/4 of a mile off route to pick up people and drop them off. The goal is to reduce the number of trips provided by paratransit service with its extreme cost. The advantage is that it can provide service along weak corridors especially in the suburbs that are still too transit and pedestrian hostile for regular service while still providing connections to major transit service. However, service can be inconsistent and because time needs to be added for the deviations, the route is slower and often more inconvenient than standard transit service. Using UTA as an example the flex routes run hourly or even less frequent which means service is not frequent enough to make the service pratical for the average rider which means ridership to be lower than they would be otherwise. Worker Routes: Worker routes is a specialized service that provides peak hour service to either a single employer or multiple employers that are located in the same general area. If the employers are big enough to these buses can often run full, however, they are also very costly and that is why most transit agency have tried to move riders to either van pools or regular service routes. In addition these routes can waste valuable capital resources even though transit agencies do not account for the value they get out of their capital resources like a private business would. 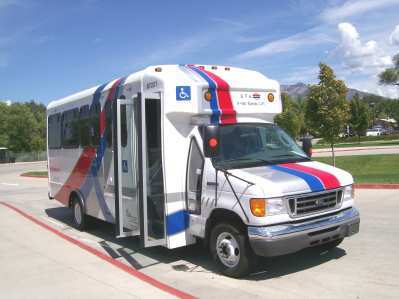 One example is UTA that has a route that runs from the Ogden area to Salt Lake City serving state offices and other business around North Temple. The bus then sits behind the Department of Revenue ALL DAY until it returns in the late afternoon. Some major employers are now providing their own transit service to major facilities including Google in the Bay Area, Microsoft in Seattle, and Intel in the Portland area. Other employers will provide shuttle service from major transit stops such as Nike and Intel providing shuttles from MAX stops in Portland. This is much more economical that wasting a bus for one run per day. There is probably some minor types of service that I am forgetting here but you get the general idea here. If we lived in a perfect world you probably could have different agencies providing each of these types of service. That would allow each agency to concentrate on their specialized area. However, as I have pointed out on many occasions the more agencies you have providing the service, the more confusing and difficult the system becomes. Plus each agency will become territorial and look at things with tunnel vision and not do what is best for the riders but instead protect little part of the pie.